The People Inc. 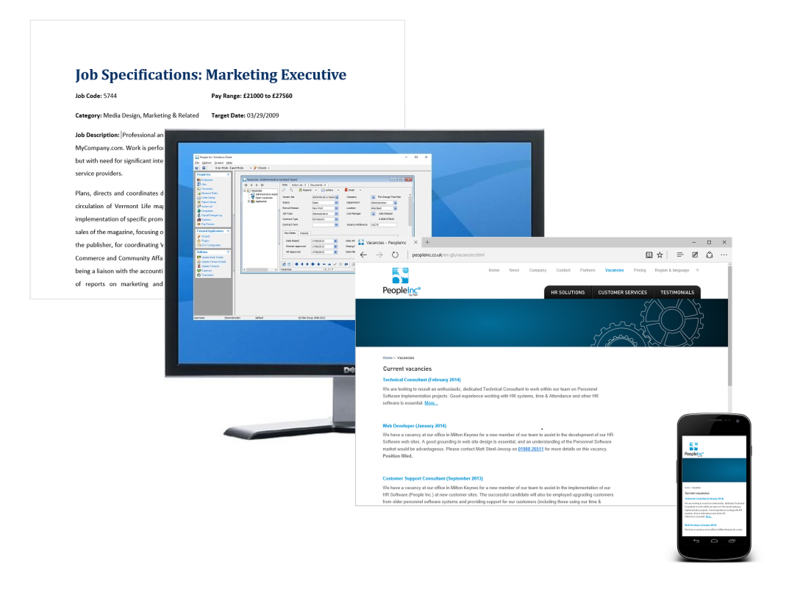 Recruitment Web-Publishing Add-on enables users to take the details of a vacancy, add it to People Inc. have the system publish the information on their website and enable applicants to apply online. When candidates apply, their details are automatically recorded within the People Inc. database against the appropriate vacancy. This functionality is provided via 4 web pages: a vacancy list page; a vacancy detail page; an application form; and a confirmation page. Vacancy Details in People Inc. Vacancy details can be managed within the standard People Inc. system, and applicant details recorded against these. This information is then updates as individuals progress through the recruitment process. When using the web-recruitment add-on, the vacancy details held within the system are automatically listed on a page on the company website. The recruitment web pages are integrated into the client’s web-site and are styled to match the rest of the site (this includes all fonts, borders, colours, etc.). The vacancy list page is called from the menu on the company website and comprises an introductory paragraph together with a list of vacancies. The list is generated dynamically from the People Inc. vacancy details. 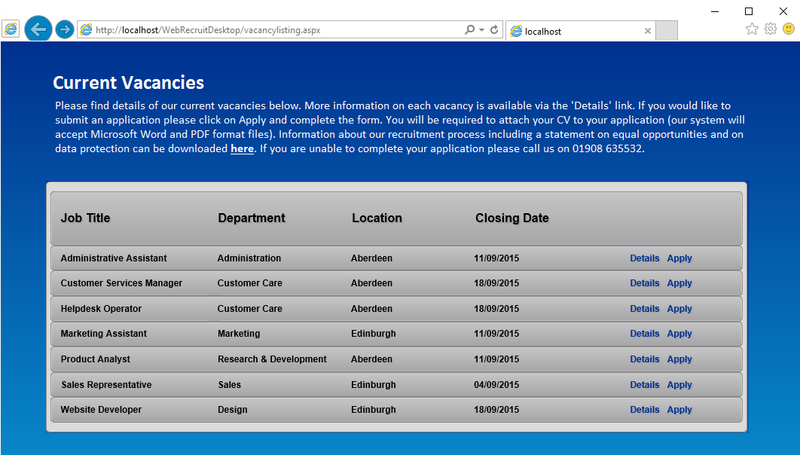 Visitors can browse through the list of vacancies, and look at more information by clicking on the Details link. They can also apply online via an online application form. Details added via the application form are saved within the People Inc. system. It is possible to customise the application form to enable applicants to enter a wide variety of information. It is also possible for the applicants to attach their CV and further documents as required. A confirmation e-mail can be sent automatically by the system at this point. Where line managers have access to People Inc. via the ESS, they can use the ESS to view details of applicants within the system (including their CV and other attachments). This enables them to help short-list those who they consider to be suitable for the role. Please contact P&A Software Solutions on 01908 265111 for more information.